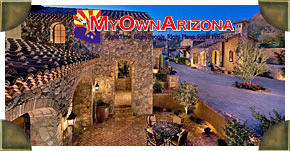 Welcome to the online MyOwnArizona team presentation of Homes For Sale in DC Ranch. Search our collection of the finest DC Ranch Scottsdale homes, estates, and land for sale in the North area. The City of Scottsdale has some of the finest luxury homes and estates available in the entire country. The DC Ranch Scottsdale real estate market benefits from one of the largest and fastest growing metropolitan area’s in the entire region. The Scottsdale area boasts plentiful luxury shopping, dining, and outdoor opportunities, which are listed for your convenience in our Scottsdale Luxury Resource Guide. Please contact us to receive the luxury packet on DC Ranch. History surrounds DC Ranch community, where only a few decades ago cattlemen worked and enjoyed the cowboy’s lifestyle. The history of DC Ranch brings together Scottsdale land, cattle, business, and the upbeat nature of people from the southwest whom live the spirit of Arizona. From the beginning, DC Ranch was seen as a unique destination. Its vision is the result of detailed development and careful preparation of how elements create a cohesive community. DC Ranch's design and Scottsdale growth continues on into the future. The DC Ranch community is never done. Architecture's integrity and design, and development of networking among locals are integral to the DC Ranch Scottsdale experience. All work toward the same vision: to serve DC Ranch residents and create a DC Ranch community that is georgeous functioning smoothly, and creating a deep spirit of belonging at DC Ranch.